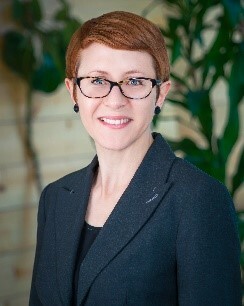 A nonprofit leader with 20 years of professional and volunteer experience, Kirsten is passionate about empowering others to reach their change-maker potential and has dedicated her career to expanding impact through building cross-sector partnerships, inspired learning environments and connected networks. She began her B:CIVIC service in 2016 as a board member. In 2018, during an executive transition, she led the merger with the Denver Metro Chamber Leadership Foundation. The Leadership Foundation, an affiliate of the Denver Metro Chamber of Commerce, is focused on preparing and connecting leaders from the business and civic communities to strengthen Colorado. This partnership allows us to grow our shared impact by advancing the culture of giving, volunteerism and socially responsible business across the state. Prior to re-joining the Leadership Foundation in 2012, Kirsten served as the Director of Education and Member Programs for Housing Colorado, an education and advocacy organization advancing safe, decent and affordable housing for all Coloradans. She began her nonprofit career at the Colorado Chautauqua Association in Boulder managing membership services and donor development initiatives for the historic cultural institution. Kirsten is a graduate of Ohio University (B.A. in English and Theater) and Northpark University (Master of Nonprofit Administration). Her community service has included roles with CLLARO (Colorado Latino Leadership Advocacy and Research Organization) board, B:CIVIC board, Dance To Be Free board, the Colorado Civic Health Network, Human Services Network of Colorado board, Boys & Girls Clubs of Metro Denver associate board, National Philanthropy Day in Colorado steering committee, and as a Mile High United Way literacy volunteer. She lives in Denver, Colorado with her husband, Scott. Jess joined B:CIVIC in November of 2017 for the 2017 Annual B:CIVIC Summit. Her professional career has focused on the initiative to educate consumers and be an advocate for conscious brands and organizations. Her background includes marketing and PR work for an outdoor apparel and gear retailer, along with a communications, marketing and community relations role with the City of Maquoketa (Iowa) to increase tourism and community efforts. In addition, Jess has worked with The University of Iowa on a re-branding project, Fox Sports/Big Ten Network for a market research and marketing campaign targeting millennials, a penguin sanctuary in New Zealand to assist on a UN Millennium Development Goal, and directed a 5K for Breast Cancer Education & Awareness. 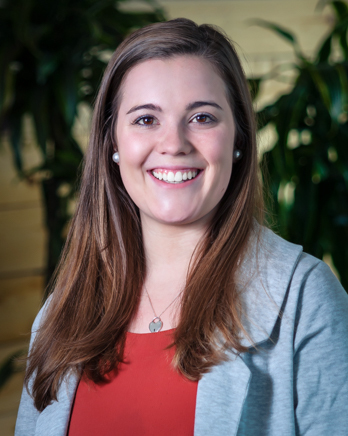 As an Iowa Native, Jess made the move to Colorado in Fall 2017, to pursue her goal of learning more about corporate social responsibility and how she can do her part. She continued her education through the CU- Boulder Leeds School of Business Certification in CSR in partnership with B:CIVIC in the 2018 spring semester. In addition to corporate social responsibility, Jess has been volunteering with organizations her whole life, “For as long as I can remember, my parents had us (Jess and her 2 siblings) helping where we could, from spending summers at a local camp to holidays at soup kitchens, restoring native Iowa lands and being guides for events on the Mississippi River, it’s just a part of who I am now.” Prior to making the move Jess was active leader for a food pantry located in one of Iowa’s largest food deserts in a 22 county region.